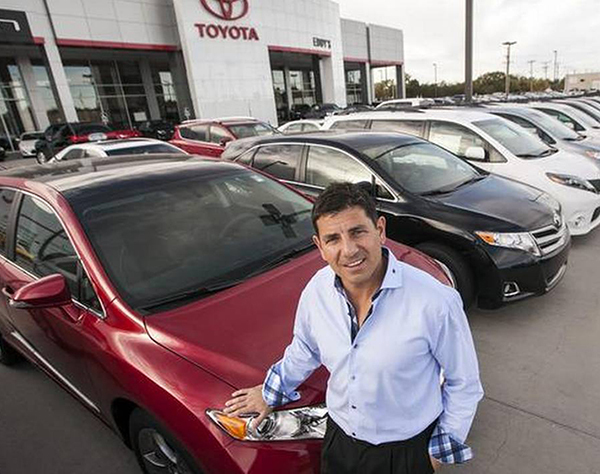 Brandon Steven, owner of Eddy's Toyota in Wichita, KS, was born into an entrepreneurial family. While Brandon has followed in his father and brother's footsteps and enjoyed success in many different ventures, Brandon found his passion early on and has blazed his own trail in the automotive business. Mr. Steven's love for selling cars began when he was still in high school. He started out washing cars at a local dealership and by the time he was 17, he was a full-fledged car salesman. After high school, Brandon put his car sales career on hold to earn a degree in marketing from Southern Illinois University. Upon his return to Wichita, Brandon tried his hand a at a few different automotive-based businesses, eventually finding lasting success with Brandon Steven Motors, his own used car sales company. Starting with one location on West Street, Brandon Steven Motors thrived, eventually expanding to a total of three locations. 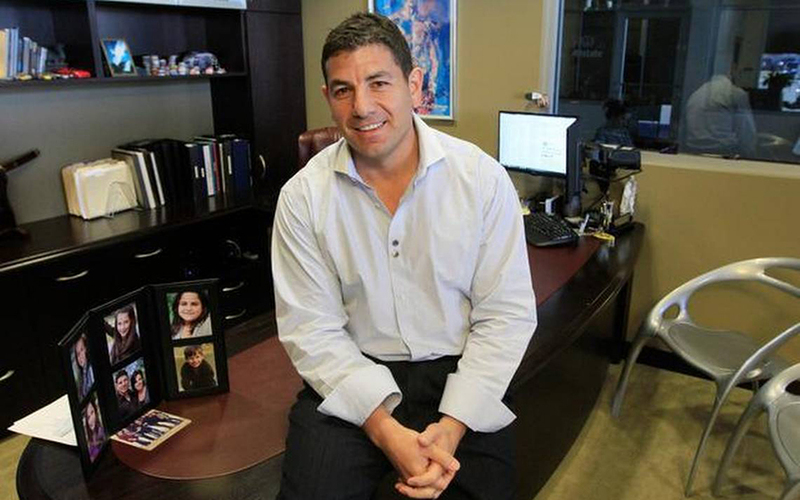 In 2004, Brandon Steven purchased his first new car dealership. Brandon Steven continued to build on his success selling cars, eventually purchasing Eddy's Toyota of Wichita. Brandon's passion and drive to improve the way vehicles are sold is one of the many reasons that Eddy's Toyota, a division of Brandon Steven Motors, continues to thrive. In fact, Eddy's Toyota has been awarded many top Toyota honors, including winning every possible Toyota dealership award in 2013. Awards and honors like this don't come unless a dealership puts its customers first and that's certainly the case at Eddy's Toyota of Wichita, KS. Brandon Steven's passion for the automotive business shines through in all aspects of the customer experience from our outstanding selection of new Toyota vehicles, our wide variety of high quality used vehicles and Toyota Certified Used vehicles, our state-of-the-art service and repair facility staffed by caring, certified technicians, our well-stocked genuine Toyota parts and accessories department, our team of finance professionals, our non-commissioned salespeople who will work hard to get you the right vehicle for your lifestyle and much more. Brandon Steven is committed to the Wichita, KS area and loves to give back through various charitable and philanthropic means. Brandon Steven was named the 2007 Man of the Year by the Leukemia and Lymphoma Society, having helped raise over $468,000 and breaking records in the process. Since then, Brandon Steven has continued to get involved with the community over the years and has gone above and beyond to help families in need. Recently, Brandon Steven and his brothers, Rodney Steven II and Johnny Steven, (owners of the Wichita Thunder) raised over $50,000 to help Deputy Robert Kunze's family. He didn't stop there as he, in the same month, donated a new minivan and presents to a family of 6 in need. 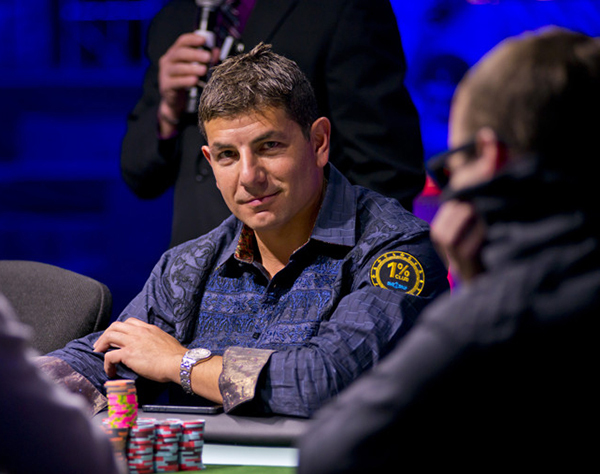 Brandon Steven also enjoys playing poker and has channeled his ability to quickly read people into not only success at the table, but success in raising money for children in need through poker-funded charity events such as Aces For Kids. Brandon Steven is involved with many entrepreneurial ventures along with his brother Rodney including several Wichita-area dealerships, Genesis Health Clubs and the Wichita Thunder professional hockey team. Brandon Steven and his wife Karen have 6 children and are committed to giving back to our community to make sure that Wichita continues to be an outstanding place to live, work and raise a family.